Works perfectly now! Thanks for your support! Don’t know if it’s because of this update or just a coincidence but for the first time since I’ve got Homey Zigbee started to mesh some devices?! I have the problem that my aqara suddently stopped working. The lux is reported nearly instant but motion is not recognized. Some has similar problems? Is there any way to change the battery or something like this? I’ve to reconnect some devices. The temp was for a few days ‘stuck / the same’ after reconnect all OK. Please keep it on-topic. It’s not a chatroom here. If u guys wanna chat then try the PM function. What exactly you expect for an answer? Posts behind mine that are off-topic or remarks to this post will be deleted without further notice. If you have any questions about this then please contact a moderator via PM. And if i use the homey as a Alarm system. Does anybody know a on/off switch with a build in led (green/red?) So i can see if the Alarm is on or off ? I see 6 values/parameters are exposed to Homey, although they don’t all make sense to have in HomeKit. Homekit is very limited in the type of parameters/devices it can accomodate. There is no place for “tilt angle” - all it Home(y)kit can do is reduce all of the vibration sensor’s data to Sensor Triggered/Sensor Not triggered. Again, a Homekit limitation. Will the " Xiaomi Mijia Aqara Two-way control module Wireless Relay Controller" be supported as well? This one could replace (some) of the 433MHz KAKU controllers I still have to use (seems a rather big though). 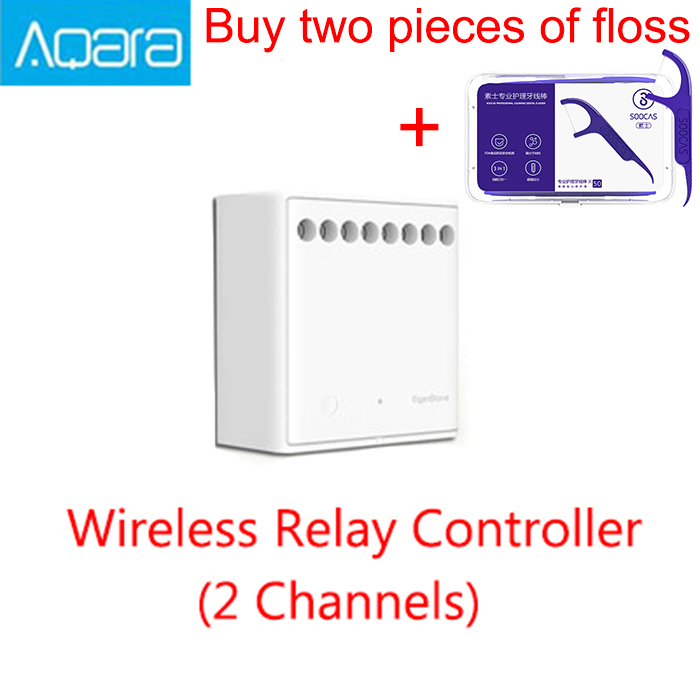 Aqara, cheap devices, good looking and working (I have a few temp and door sensors and since today I also have wireless switches). Is there a flow or default function for the wireless switches (2018) when I long press the button the light will start to dim (100% to 1%) and when it is dimmed it will go from 1% to 100%? Can anybody here confirm that the battery levels are working correctly for the door/window sensors? I installed 1 yesterday, worked fine for some time. But now it looks like if the magnet isn’t working anymore. This means that it won’t see that the door is open/closed. It just stays closed all the time. Battery level is indicating 100% so I’m not sure if I broke the thing (already after a couple of hours), or that the battery is empty :/. Strangest thing as I said that the smaller block doesn’t seem to have any magnetic functionality anymore. Maybe it’s because I have some space between the smaller and larger block? Have you tried to push the button to reconnect? A gap in between should be fine, can be quite some space. Almost 1 cm at my home I think. And battery reporting is working fine with me. Should last very long anyways. Not with this app. Basic functions is supported with the Xiaomi Mi Home app. @Jan_Peeters considering it is a Zigbee based device, yes will be within scope of this app. If there are more people requesting this device to be added and supporting to buy one of these devices, I will order one and add support for it to this app. Not sure why, Homey sees the thing fine. But the magnetic functioning of the devices seems to be faulty or not working at all anymore. I’ll try to delete it from Homey and connect it again. Any news in the problem of not mesh? Well I’ve seen to have found my issue with the sensor. Somehow Homey lost access to it. I couldn’t readd it either, had to physically move Homey to get it close enough to work again. I’m guessing the signal for Zigbee isn’t strong enough. Eventhough it’s just a couple of meters. Maybe it’s because the Homey stands right next to my AP and it interferes? Pairing always has to take place within a distance of 50-100cm of Homey for bot Zigbee and Z-Wave. Once paired the range should be much larger. Standing next to your AP could indeed interfere, Wi-Fi and Zigbee they use the same band (2.4Ghz). I believe Zigbee is default channel 11 so if your AP uses that too you could try to manual set another channel there.